The Tennis program at Boo Mason Tennis is one of the best in the state. The tennis director, Boo Mason, has been involved in tennis in Birmingham for fifty years. The USPTA P1 Teaching pro leads a staff of excellent professionals in all areas of tennis. We excel in Quick Start 10 and under tennis and work with kids as young as five years old. We have one of the most recognized Jr. development programs in the city. Boo Mason Tennis hosts five USTA Sanctioned Jr. tennis tournaments a year and is the home of the USTA Alabama Competitive Training Center. Josh Goff played tennis for Samford in 1996-1999. 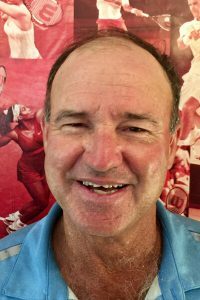 He was a playing assistant coach from 1999-2000. He started teaching at Boo Mason Tennis in 2000 as an assistant teaching pro. He is now the Head Teaching Professional. Josh coached John Carroll to a state championship. He was an assistant coach for the USTA Area Training Center. He also coached Alabama’s Jr. Davis Cup team and is a “Going the Distance” learning Coach with the Nick Bollettieri Tennis Academy. He was the personal coach to WTA top 20 Alexandra Stevenson. Josh has coached numerous national, sectional and state ranked juniors. He won USPTA Rookie Coach of the year 2001. Jeff grew up in Florence, Alabama and began playing tennis at the age of 12. Throughout his junior career, he was consistently ranked in the Top 15 in Alabama. He attended Northwest Shoals Community College and Jefferson State Community College on tennis scholarships. At NWSCC, Jeff played the #2 and #3 singles positions. After his transfer to Jeff State, he played the #3 and #4 singles positions. The team made it to NJCAA end-of-year championships where they finished ranked 9th nationally. 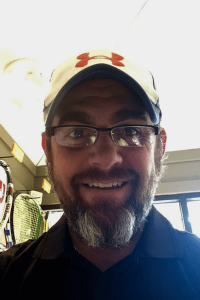 After college, Jeff began teaching tennis at Pine Tree Country Club in Birmingham, Alabama, before coming to Boo Mason Tennis in 2002. 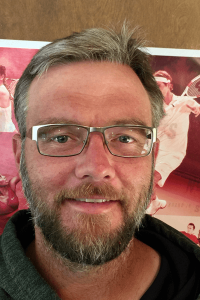 Jeff is an MTM-certified tennis professional and USRSA member. Jeff stills plays tennis competitively, playing adult tournaments throughout the Southeast. Most recently, Jeff was on The Alabama Men’s 35 Senior Cup team, which finished first in 2014. As a tennis pro, Jeff has worked with many top juniors and has been a practice partner for WTA professionals. Several of Jeff’s students have gone on to compete in numerous NCAA programs. Jeff is very active in the HCC Junior Program and specializes in working with competitive junior and adult players.